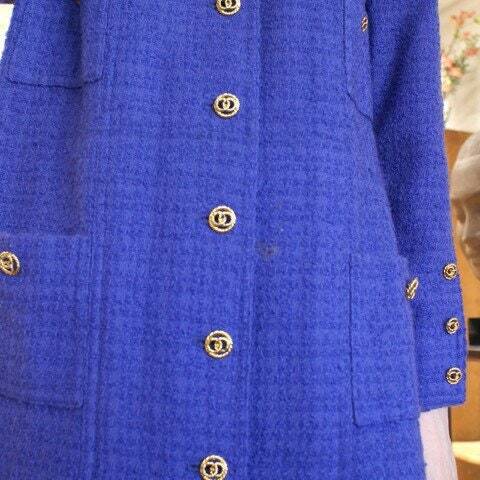 Dress coat with lavender with gold buttons. Worn straight or belted. Size 38. Good condition with a small stain on the front that is not noticed when it is belted. 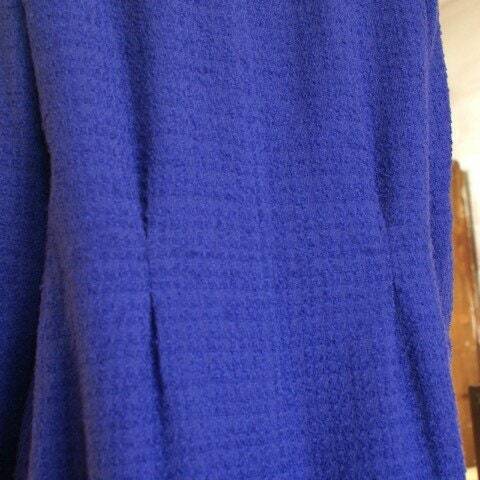 Very chic and understated in mind Chanel.